2)soft hand feeling, thick and warm knit hat for men winter to wear. 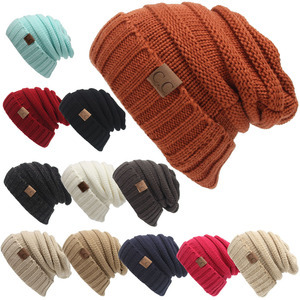 3)we wholesale this model winter fashion knitted hats of small quantity even 50pcs order. 4)we can knit a sample hat for you check quality. Tianjin HuiTianAiXin Knitting Technology Co., Ltd. 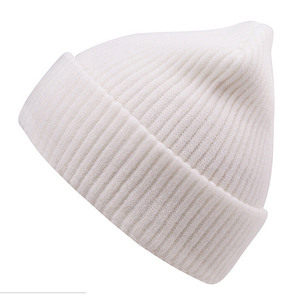 Designer Your Own Leather Patch Custom Men Women Wool Winter Knit Beanie Hat Just feel free to send inquiry to us! 4.Color heather grey Standard color is available ,special color based on pantone color card 5. Size 58cm according to your requirement 6.Logo and Design leather patch Printing, Heat transfer printing, Applique Embroidery, 3D embroidery etc. Please provide your artwork, pictures or original sample. Press the ON/OFF button for 3 seconds, the device is open once "BLUE" LED slowly flash. You might have to manually adjust the hat to find the Micro USB charging port because the Bluetooth hat is washable. Note: Due to the difference between different monitors, the picture may not reflect the actual color of the item. Please provide me with more product details . 99% of our hat is custom hat with our client logo ! so we need to confirm the details one by one ! 3.Color : any color is ok, standard color on pantone card 4.Design : we are OEM factory, so we can make the cap as your own design, custom embroidery, printed logo is ok for us. For best prices, please contact us without any hesitation. For more products information / prices/ delivery time/ shipping charges etc. Dongguan Ruihai Fashion Co., Ltd.
High Quality Colorful 100% Acrylic Custom Logo Ladies Men Winter Hat. 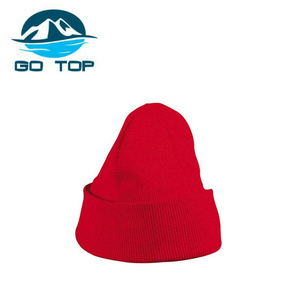 Alibaba.com offers 18,149 mens winter hats products. About 53% of these are winter hats, 12% are sports caps, and 1% are men's hoodies & sweatshirts. A wide variety of mens winter hats options are available to you, such as knitted, plain, and plain dyed. You can also choose from 100% acrylic, 100% polyester, and polyester/cotton. As well as from character, image, and dobby. And whether mens winter hats is free samples, or paid samples. There are 18,112 mens winter hats suppliers, mainly located in Asia. The top supplying countries are China (Mainland), Pakistan, and Hong Kong, which supply 95%, 3%, and 1% of mens winter hats respectively. Mens winter hats products are most popular in North America, Western Europe, and Eastern Europe. You can ensure product safety by selecting from certified suppliers, including 1,514 with Other, 819 with ISO9001, and 783 with BSCI certification.